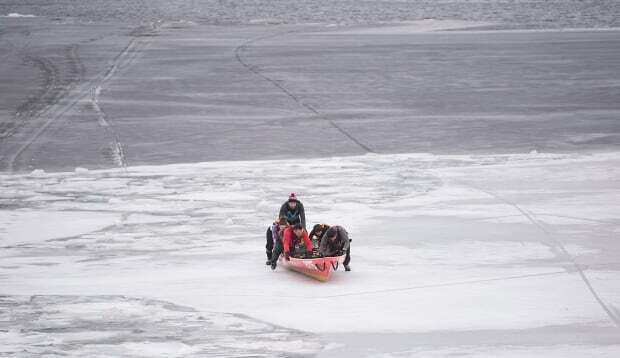 As the canoe slides into the freezing waters of the St. Lawrence River, the yells echo through the winter air as the hardy team members half-glide, half-scramble across the ice chunks to open water. The temperature is -2 C — relatively balmy for Montreal in January, though still not what many people would consider ideal for water sports. But between battling the ice, the current and the elements, ice canoers say they never get cold no matter how low the temperature dips. “Before I first tried I was like, ‘I can’t believe I’m going to put my leg in the water in half an hour, oh my God,”‘ Montreal rower Mylene Paquette said. Paquette, who is best known for rowing solo across the Atlantic Ocean in 2013, is now the captain of Vive Montreal 375, a team formed in honour of the anniversary of the city’s founding in 1642. The team, which is sponsored by the city, is hoping to compete in the Montreal leg of the province’s racing circuit — and raise the sport’s profile while doing it. Ice canoeing, once a necessary means of transportation, has now become a fast-paced sport unique to Quebec. 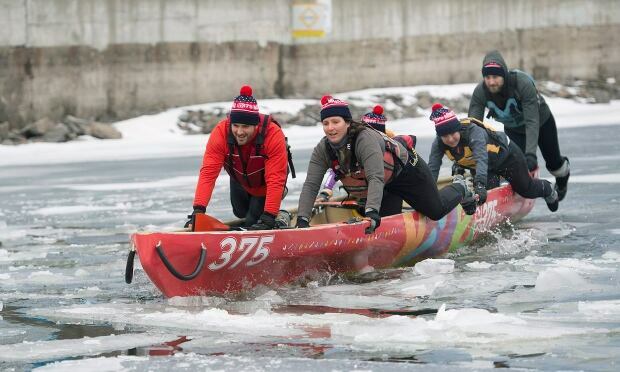 Five-person teams alternate between rowing and “scootering” — using one leg to push the canoe across iced-over portions of the river — as they compete with other teams around a course. Its roots go back to Quebec City more than 400 years ago, when canoes were the only way to transport people and goods when the weather was too warm for an ice bridge, but too treacherous for ships. Since being revived as a sport several decades ago, Quebec’s ice canoe racing circuit has grown to seven races and almost 60 active teams, according to Catherine Paquin, executive director of the province’s racing association. Quebec City Mayor Regis Labeaume even suggested ice canoeing as a possible Olympic demonstration sport last year as he mulled a now-abandoned bid to host the Games. The exact format and distance of the races varies by location. 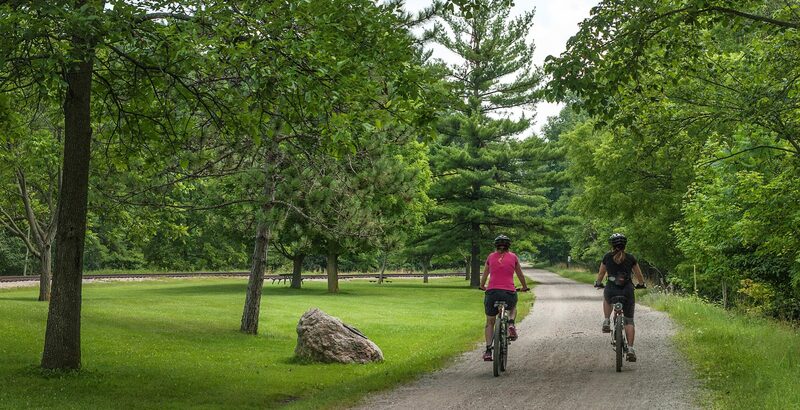 Montreal’s, for example, is 13 kilometres for elite women and the mixed “sport” class teams, and 17 kilometres for elite men. Weather, of course, is an ever-present factor, and difficult conditions easily turn a one-hour race into a three-hour one, says Paquin, an elite woman racer herself. “It’s always a box of surprises in the winter and it’s never the same route twice because your terrain — the ice — is always moving with the current,” she said. The sport will be on full display as some 40 teams, including Paquette’s, compete in Montreal’s ice canoe challenge on Feb. 12 in the Old Port. 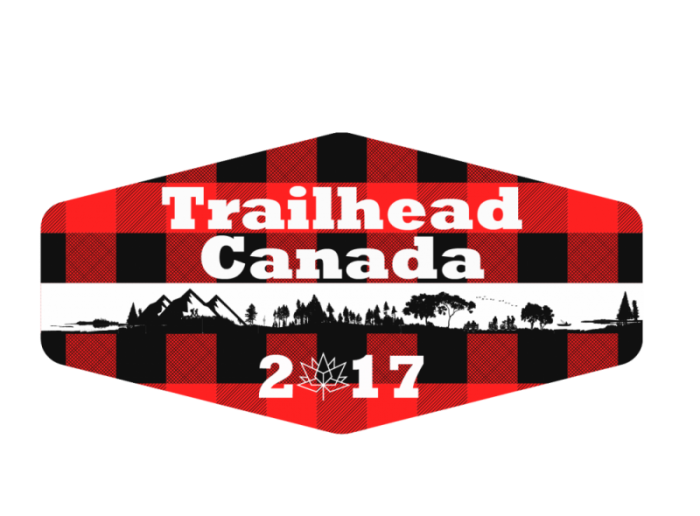 The fifth edition of the race coincides with a larger winter festival put on as part of the city’s year-long 375th birthday celebrations. And, while the demands of racing are a perfect fit for a top athlete like Paquette, one Quebec City-based company is offering a scaled down version for tourists who want to — literally — get their feet wet. A three-hour session includes equipment, a safety lesson and about an hour on the water, complete with a stop on a mid-river ice bank to drink hot chocolate and pose for selfies with the Chateau-Frontenac Hotel. Felix Blanchet-Levesque, owner of the company, says the activity is safe and doable for anyone who is in fairly good shape, from teenagers to senior citizens. “Some basic rules are: don’t let go of the canoe, don’t let go of the canoe, and don’t let go of the canoe,” he said in an interview. He says the St. Lawrence’s geography, currents and temperature create a unique opportunity to try an activity that barely exists anywhere else, if at all.